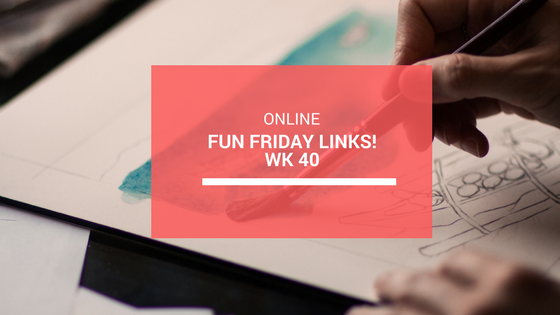 Another week, another Friday Fun Link Edition. This week a Halloween edition! I like these so much! I love everything vintage, but these are awesome. They are stickers, that you can use in your planner or for scrapbooking. Her complete vintage sticker shop is something that you need to see if you like vintage images! Trick or Treat! A beautiful candy bag topper! 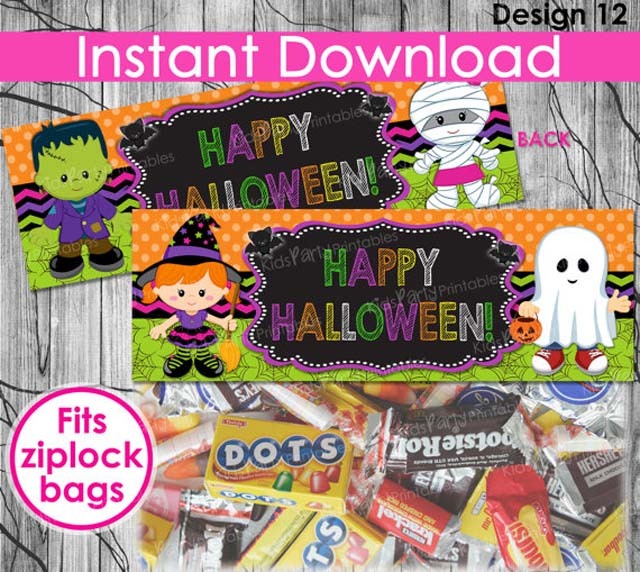 For Halloween or for a Halloween or Witch party, these printable bag toppers are perfect for making a candy bag. I love the options of downloads. You don’t have to wait, but can instantly download the image, as often as you like. Free crochet pattern ghost “Boo!”. 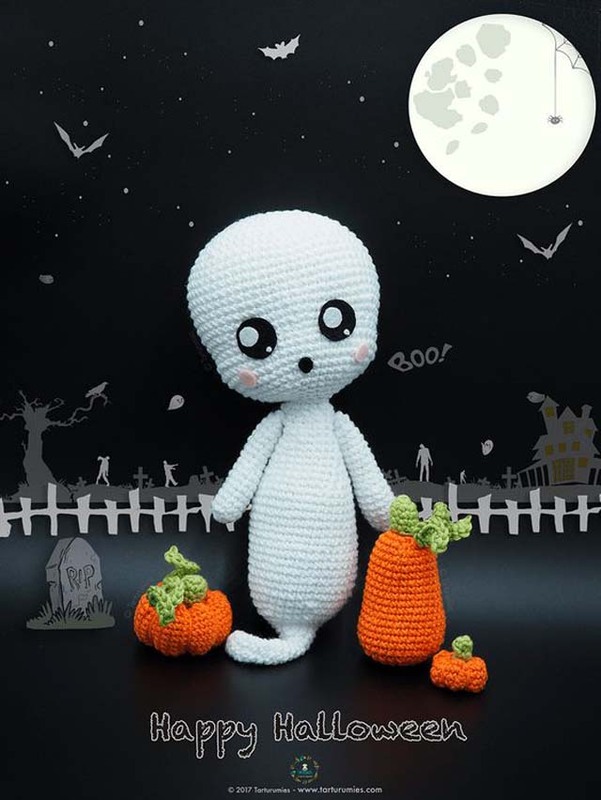 This free crochet pattern of a cute ghost is something that you can still make for Halloween. The website isn’t in English, but if you scroll down, you can download the pattern in English. Have fun! 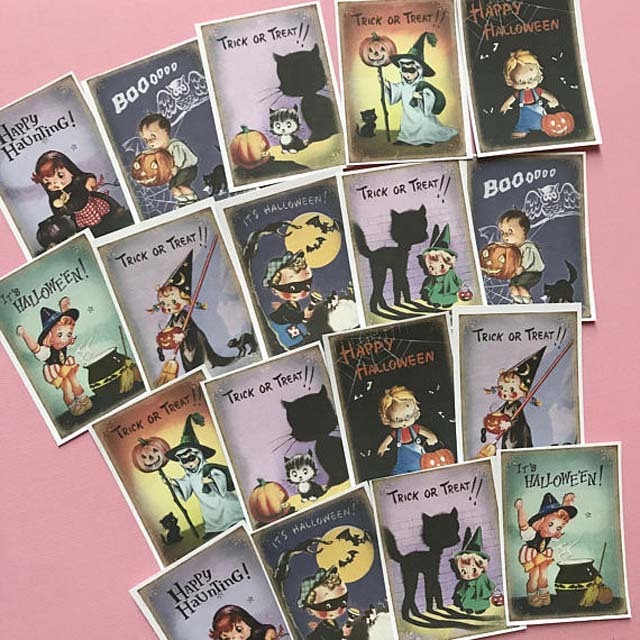 Free Halloween printables for your witch’s brew! These prints by Holidappy I have used at my daughters birthday party last year. She wanted a Halloween/Witch party. The images were a huge hit! I have printed them on sticker paper and placed them on some bottles. Such an easy way of Halloween Decoration! 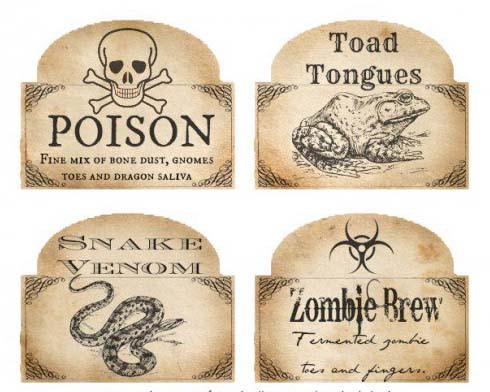 I have used red lemonade for the Zombie brew and green lemonade for the snake venom. The kids loved it and really were wondering if it was real!